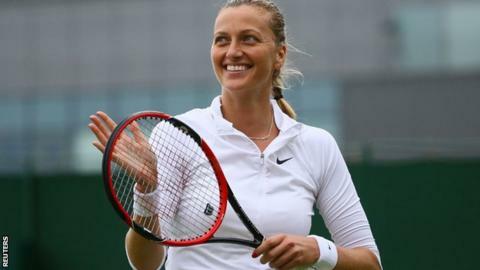 Petra Kvitova says she has a "chance" of making a shock return from a career-threatening hand injury at the French Open next month. The Czech suffered damage to tendons and nerves in her left hand after she was stabbed by an intruder at her home in Prostejov in December. The 27-year-old was initially expected to be out for at least six months. But on Monday the two-time Wimbledon champion announced that she has submitted her entry for Roland Garros. In a post on her Instagram page, she said: "My name will appear on the entry list for Roland Garros tomorrow because, as the entry deadline approached, I had made good progress in my recovery process and I want to give myself every last opportunity to be able to compete at one of my favourite events. "This unfortunately does not mean necessarily that I will be ready to play in Paris, but that I'm doing everything possible to give myself the chance and keep a positive mindset."